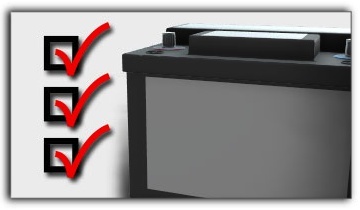 It’s important for Spring auto owners to know battery basics. First, let’s talk about which is harder on a battery – hot or cold TX weather. Most Houston auto owners think it’s cold weather because that’s when we call on our batteries to have enough power to start a cold family car engine. However, heat does more damage to a battery than cold. Truth is, our batteries start to die a little from day one. Keeping a full charge slows the process, which is hard with short Spring trips because the alternator doesn’t have time to fully recharge the battery from starting the engine. Spring auto owners can top off the charge with a computer controlled battery charger – say, once a month in the summer and every three months during the winter. As far as how long a battery will last, statistics show that 70% have given up the ghost within four years. By that time, they aren’t capable of taking a full charge like they used to, and your family car alternator has to work overtime to keep up. This causes your alternator to wear out early. If you’re pushing 4 to 5 years on your battery, see your personable C&A Transmission & Auto Repair service advisor for a battery test to see if it’s recommended to replace it. Not only can you avoid getting stranded with a dead battery, but you’ll save unnecessary wear and tear on your family car alternator. Is your car sometimes hard to start on an early Spring morning? When you turn the key, does it hesitate or stutter? If so, the problem could be the result of a dirty fuel system. Your car’s fuel system starts with the air filter and ends in the top of your engine. Over time, different parts of the system get dirty, which robs you of performance and hurts your fuel economy. Most of our family car in Spring have fuel injectors, rather than a carburetor. Fuel injection systems have fewer problems and require less adjustment. But they still need to be properly maintained. This is why your owner’s manual has a schedule for cleaning your fuel injectors and other parts of your fuel system. Some people are interested in buying fuel system cleaners that you can pour into your gas tank. You can do that – and there are lots of great products available that can help maintain an already clean fuel system – but these products cannot do a major cleaning. For that, you need to see your service center at C&A Transmission & Auto Repair. C&A Transmission & Auto Repair has the professional tools and chemicals to really do a complete service. Your service center at C&A Transmission & Auto Repair in Spring TX uses a process that gives your car a deep, professional fuel system cleaning. You need to remove particles, gum and varnish from your fuel system and get those injectors running cleanly and efficiently. After a professional fuel system cleaning, you’ll notice more power, better fuel economy and reduced exhaust emissions. Fuel system cleaning is just one of those recommended service items that helps keep your vehicle running strong. As with all maintenance, it can help avoid costly repairs that often result from not taking the right preventive steps. And you will notice the difference in how well your car runs. Check with your service advisor at C&A Transmission & Auto Repair in Spring TX to see when your car is scheduled for a fuel system cleaning. 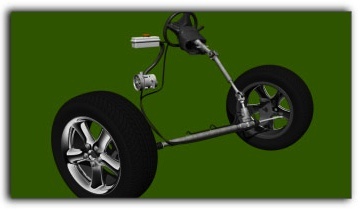 Having trouble with your fuel system? Bring your family car into C&A Transmission & Auto Repair for a check up. In today’s C&A Transmission & Auto Repair auto post, we’re talking about fuel system cleaning. The first thing to know is how important it is to have a clean fuel system. Spring motorists need fuel to go, and the cleaner the fuel system, the more efficiently the fuel will burn. That means more power and better fuel economy. A clean fuel system saves money at the pump. We guess you could say, it all starts and ends at the pump. One of the most important things Tomball auto owners can do to keep their family car fuel system clean is to buy good quality gas. Major brands have detergents that keep gum and varnish from rapidly building up in the fuel system. So buying cheaper gas in Spring can actually cost more in the long run. Now, most cars on TX freeways are more than five or six years old. That means they’ve had time for some dirt and rust to start accumulating in the fuel tank. This junk needs to be filtered out of the fuel before it hits your family car engine. That’s the fuel filter’s job. When the fuel filter is clogged, the dirty fuel will bypass the filter and go on up to the engine where it can clog fuel injectors and get into the cylinders. That could do some damage. So Hufsmith auto owners should have their fuel filter changed when recommended. Check your owner’s manual or ask your personable C&A Transmission & Auto Repair service professional if your fuel filter is due for replacement. The fuel then goes up into the throttle body. This is another area where varnish and gum can accumulate. A professional fuel system cleaning at C&A Transmission & Auto Repair in Spring will use a combination of special cleaning chemicals and old fashioned swabbing to clean out the throttle body. Now, the fuel injectors are the last stop in the fuel delivery system. It’s real important to keep those fuel injectors clean. The fuel injectors need to deliver a precise amount of fuel, at exactly the right time, in a particular spray pattern. They just can’t do that if they’re dirty. Dirty fuel injectors really rob power and hurt gas mileage. It is important for the fuel system proper, but there are a couple other things that will help keep your family car engine clean as well. Of course, air is mixed with the fuel before it’s burned. Dirty air means dirt gets into your engine, so you need to replace your engine air filter when it’s dirty. The PCV value routes unburned fuel that escapes into the lower engine back up into the intake system to be burned. A sticky PCV valve needs to be replaced at C&A Transmission & Auto Repair to make sure that system is working properly and the breather filter needs to be replaced if it’s dirty as well. Do all these things and your family car engine’s air and fuel will be as clean as possible. You’ll get much better fuel economy and better power.